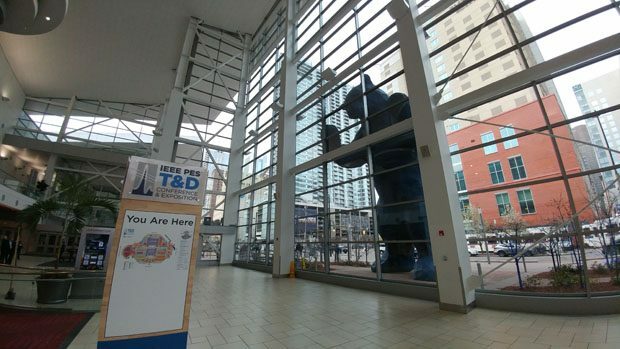 In mid April, I went to Denver, Colorado to attend the IEEE Transmission and Distribution Exhibition and Conference. However, I managed to have some fun before the start of the conference. Before going into Denver itself, a friend and I drove west towards the Rocky Mountains. 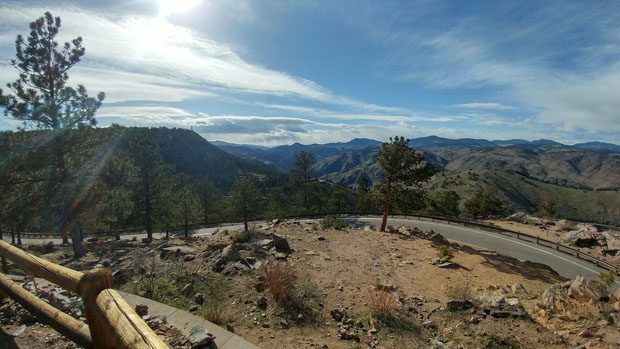 We stopped by Lookout Mountain, which is one of the foothills of the Rockies and got a pretty good view of Denver and surrounding areas. Denver is located on the high plains so most of its surroundings is flat, but the Rocky Mountains rise abruptly to the west. 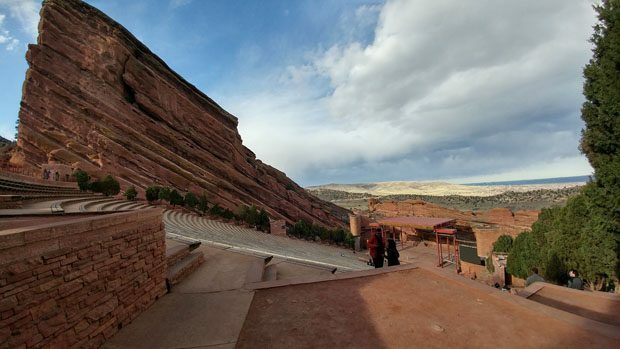 We also visited Red Rock Park, known for its distinctive red sandstone formations, which includes world famous Red Rock Amphitheater. There wasn’t a concert in the amphitheater, but it was cool to see how the designers used the landscape and rock formations to build the facility. We continued west and drove into the Rocky Mountains in order to catch some late season skiing. There are no shortage of ski resorts in the area, and we ended up going to Arapahoe Basin. 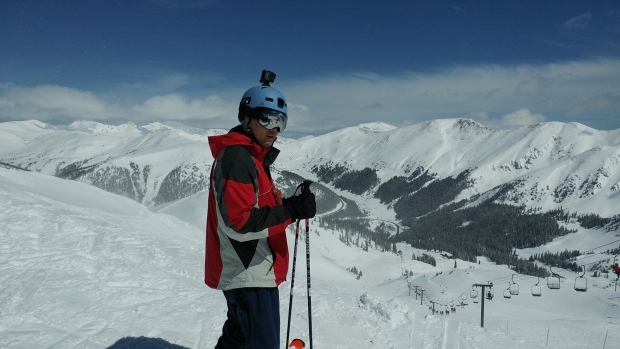 Arapahoe Basin isn’t the largest ski resort in the area, but it tends to stay open later into the season than other resorts due to its high elevation. The top of the ski lifts is over 10000 feet above sea level. Even in mid April, there was plenty of snow, and soft powder in the higher areas. I could definitely feel the effects of that elevation when I tried to get up after a fall, and I fell a lot. Even the blue trails (intermediate level) near the top were very steep, and I fell more times than I could count. However, since the snow was soft the falls didn’t really hurt. The green and blue trails were also super wide open spaces, so I never felt crowded or in danger of running into anyone even though there were plenty of other people on the mountain. Overall, skiing at A. Basin was a great experience, and I am happy to say that I have now skied in the Rockies. Hopefully this will just be the first of many ski trips to the region, so I can work on my skiing skills a bit. Below is a little video clip I took with my GoPro where I didn’t fall. After a day of skiing, it was time to get to business and attend the IEEE T&D Expo. 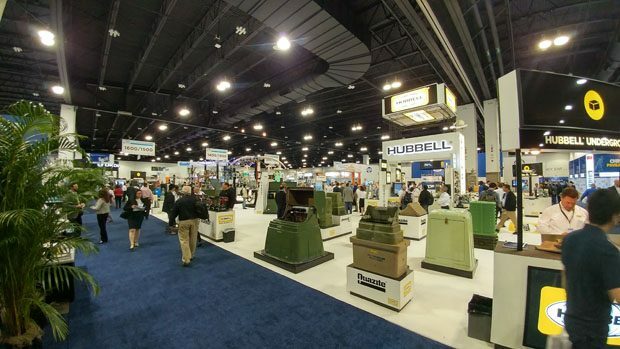 The T&D Expo is a biannual event is the biggest show for the electric power industry within North America. It is mainly an exposition/exhibition for vendors to show off their wares to potential customers. There is also a conference which I participated in order to present a paper. The event took place in the Colorado Convention Center in Downtown Denver, which is understandably massive in order to accommodate over 10000 attendees and all of the show booths. It was my first time going to big show, and it was a great experience overall being able to walk the expansive show floor and seeing some of the best and most advanced electric power technology on display. The entrance area of the Colorado Convention Center. I’m a little concerned about the 20-foot bear leaning on the windows. 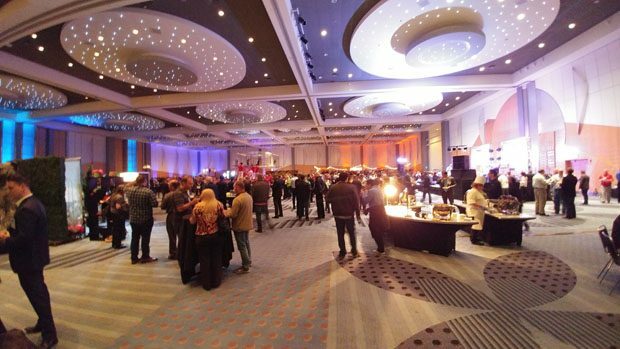 The T&D Expo kicked off with an impressive opening reception with food, drinks, music, performances and fun. 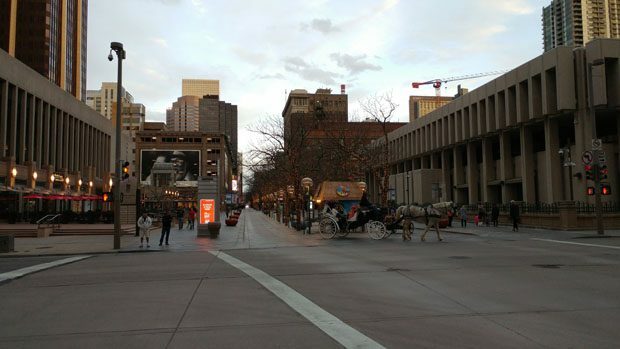 In addition to conference duties, I also spent some time walking around downtown Denver. 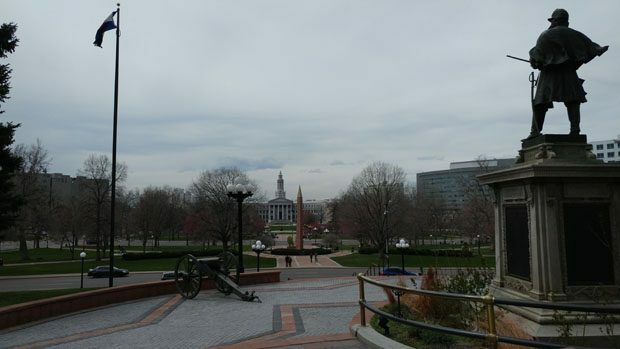 I went to the Colorado State Capitol and City Center Park. 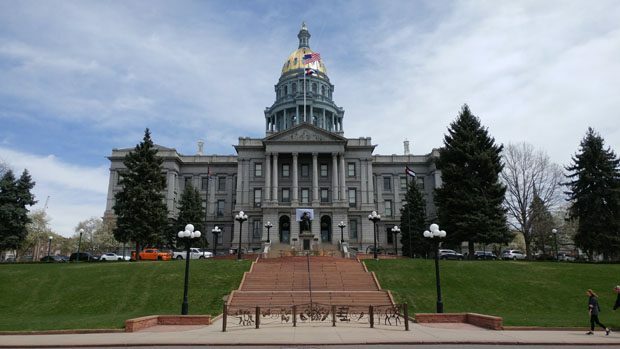 The Colorado State Capitol is one of the largest state capitol building I’ve visited. 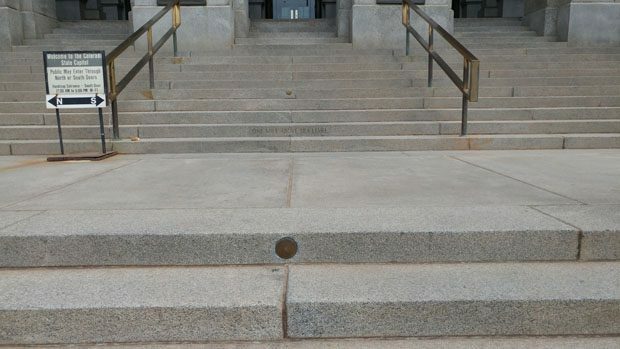 True to the city’s nickname of being the Mile High City, the steps of the state capitol has markers showing the point where it is exactly 1 mile above sea level. I also explored the 16th Street pedestrian mall, which is lined with shops and restaurants, and I ate at several of the restaurants. Overall, downtown Denver seems like a pretty nice place. There were quite a few homeless people on the streets, but that seems to be common in many big cities. Overall, my trip to Denver was both fun and productive. I went to a city that I’ve never been to, attended the biggest event of my industry for the first time, and skied in the Rockies for the first time. The only negative was getting some sunburn on my face from the skiing haha. The trip to Denver was my biggest trip of the spring season. Here are some photo and video highlights of my smaller outings. Before the Denver trip, I went zip-lining in central NC. The zip-line course wasn’t the most spectacular location and not all that high up off the ground, but it was still plenty of fun. I also brought my GoPro along and got some pretty good video clips, one of which is shown below. I also did some hiking during this time, before the weather got too hot and humid. I went to the Weymouth Woods Sandhill Nature Preserve near Southern Pines, NC. 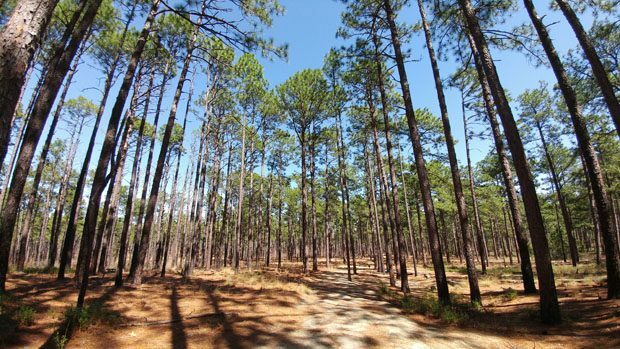 The preserve protects longleaf pine forest which looks different than most of the wooded areas we have in the region. 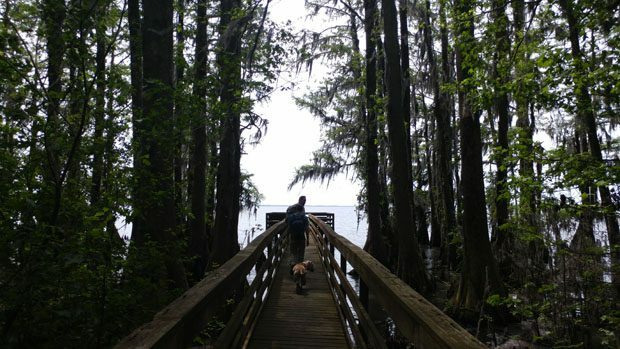 A longer hike that I did with my hiking group was to Pettigrew State Park, which is 2.5 hours east of where I live. The state park is set along the shores of Phelps Lake, which is the second largest natural lake within the state. The forest next to the lake is especially lush, and we even saw a black bear during the hike. Unfortunately, no one took a picture of the bear, but fortunately the bear wasn’t too interested in us either. 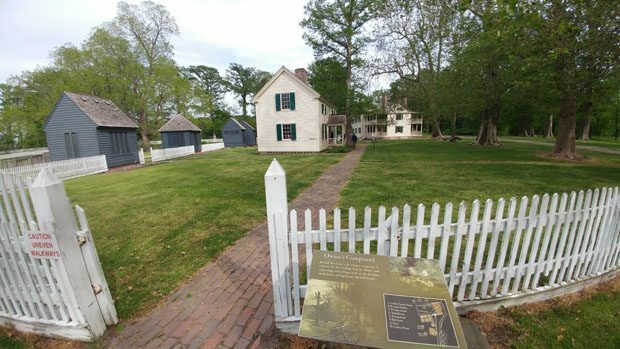 We also visited the nearby Somerset Place State Historic Site which preserves a plantation from the 19th century. It was one of the longest hikes I’ve been on, and even though the terrain is flat, my feet were hurting after walking 15 miles. As the weather becomes warmer, one of the best options for the weekend is to go to the beach. 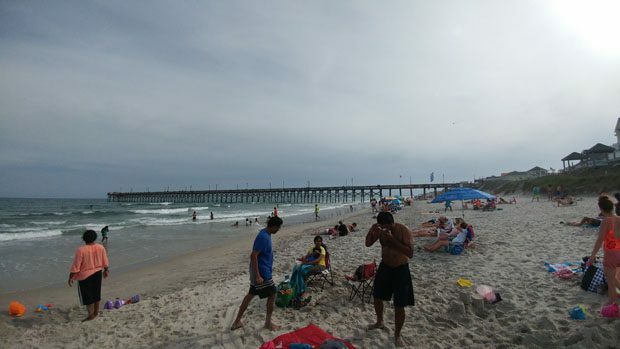 A friend and I went to Surf City along the NC coast, and once again took a dip in the waters of Atlantic Ocean. In late May the water was already warm enough to stand in and get splashed by the waves. In addition to the beach, we also went to the side of the island facing the mainland and did some crabbing for blue crabs. 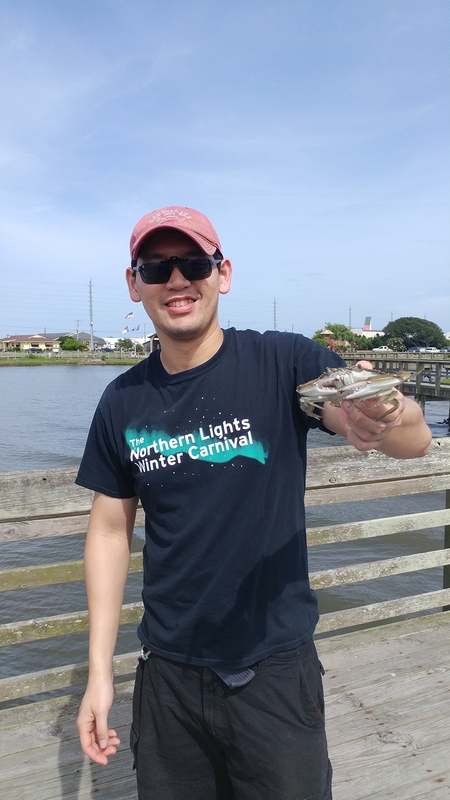 I’ve done my share of crabbing on the west coast, but this was the first time I tried catching crabs in the East Coast. 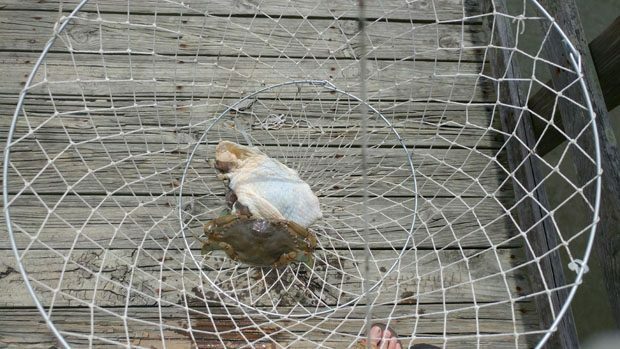 We bought some chicken thighs and some cheap ring nets from Wal-Mart and crabbed from a fishing pier. We didn’t catch any legal-sized crab during the day, but did catch four legal ones during the dusk. Four wasn’t quite enough for a meal, so we ended up giving the crabs away. I wished I had the kind of traps that I used on the west coast. Even though we didn’t catch many crabs, it was still a fun experience. My only regret is not bringing bug repellent for crabbing after dark, as I ended up with numerous bites from the no-see-ums. The beach at Surf City. A decent crowd, but not super crowded. Catching blue crabs on the east coast. Only pulled up a tiny one this time. To round out this post, here are some photos of local festivals and concerts that I attended. 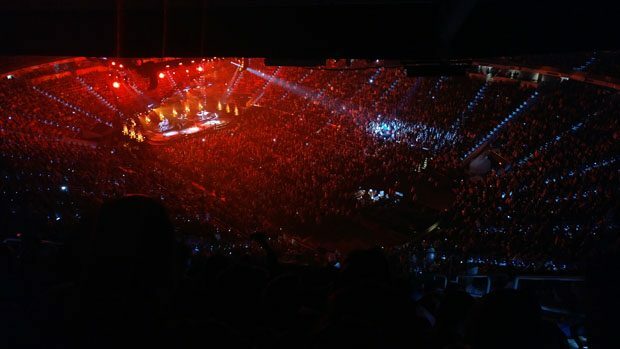 Attended a Bon Jovi concert. Saw the whole thing from the nosebleed seats. Went to a hot air balloon festival. 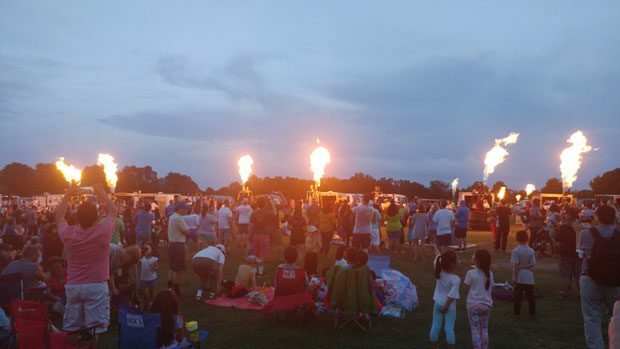 Didn’t see any balloons due to weather concerns, but did see a lot of fire shooting into the air from the balloon baskets.